Reginald William Sydney Harris was born in Sydney in 1882, son of John Harris (1838-1911) and his wife Elizabeth (Lizzie) Henrietta Dingle, nèe Page, who died at Ultimo on 30 August 1884, aged 38. In 1907 at Paddington, Sydney, Reginald Harris married Annie M Fox and had two sons. He died in May 1940. Reginald Harris’ family had a traditional interest in civic affairs. His father John Harris was five times Mayor of Sydney and his uncle Sir Matthew Harris was Mayor from 1898 to 1900. His son John Harris (1908-1979) was also an Alderman of the City from 1969 to 1977. In 1919 Reginald Harris lived at Cambôrne, Darling Point. Reginald Harris was elected Alderman for Denison Ward on the death of his father John Harris (1838-1911). He served from 21 November 1911 to 1 December 1918. He was a member of the Works Committee, 1911 and 1916-18, the Health and By-Laws Committee in 1911, the Finance Committee, 1912-15, and the Electric Lighting Committee, 1912-18. 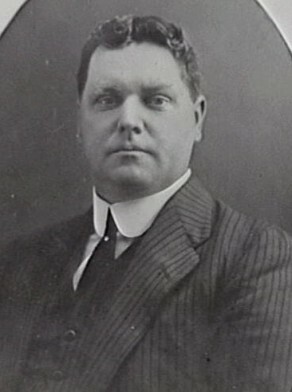 Reginald William Sydney Harris was Councillor of Sutherland Shire from 1922 to 1928.